Explore how it is like to delve into the world of peace and compassion. Join the Volunteer in Nepal Monastery program and experience the life changing moments while you teach English in Nepal monasteries. Volunteer in buddhist monasteries to teach monks. Share your English language skills and grammar knowledge with them. English proficiency is highly demanded in Nepal for further growth of academic and professional life. So your support in English language development can play a vital role for the future of these monks. 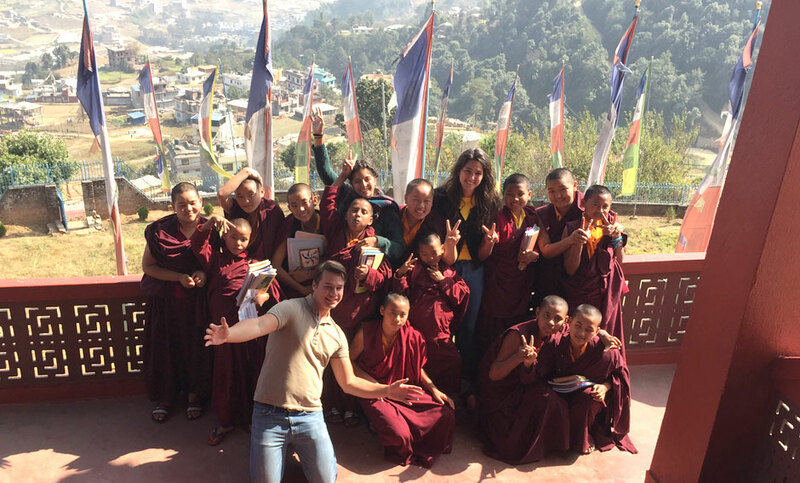 Teaching at Buddhist monasteries provides an opportunity for volunteer to get a close insight of Buddhist culture meanwhile making some contribution to bring a better life for the monks. Buddhism is a religion of peace and compassion. There is much to learn from the followers of Buddhism and of course sharing your language and skill in exchange of their mantra of simple life can be a great opportunity. 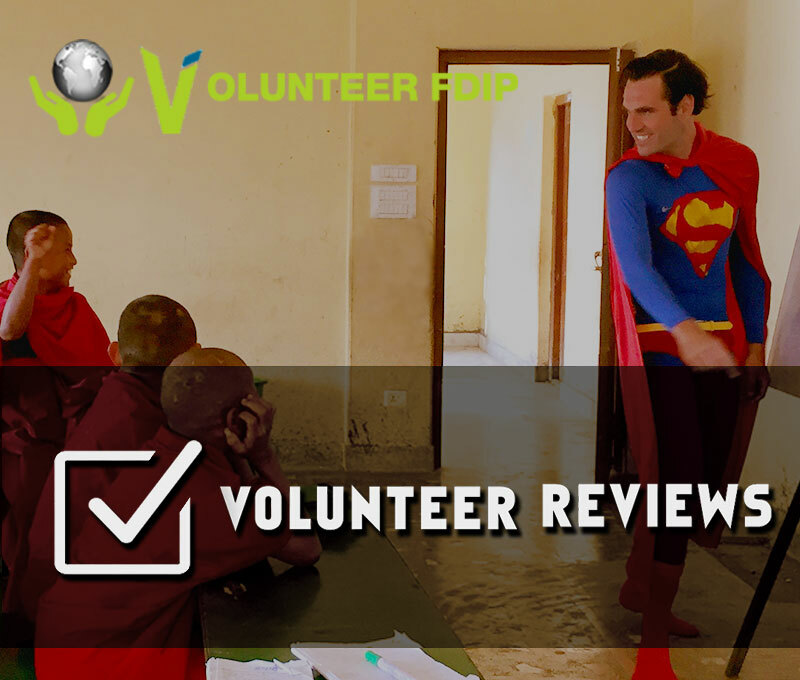 Volunteer will have their good time in Buddhist monasteries located mostly at peaceful and highland of Kathmandu valley. Though teaching English is the main objective of this project, whatever talent or skills you have, if you want to share with the monks then FDIP will be glad to provide you some space for that. So if you are good with Math, IT, Science, Art or Music you can apply to volunteers for these projects as well. The beautiful ancient city of Kathmandu is a city of pilgrims and their holy destinations. Northern Kathmandu shows a bit more reflection of Buddhist people and their culture. Many Buddhist shrines and monasteries around here display the color of peace and harmony. Volunteer will be staying and participating in one of such monasteries, it will definitely be a volunteering experience of lifetime. Who is Volunteer in Nepal Buddhist Monastery Program For? Volunteering in Nepal Buddhist monastery program is for every enthusiasts around the world, who are looking forward to make a meaningful journey of love peace and compassion. If you are good at English and confident enough to teach English in Nepal monasteries, you can sign up for this project right away. Besides English teaching , monasteries might need the teachers for other disciplines as well. So, every individual keen to learn this unparalleled culture of peace, and to share the invaluable knowledge to the monk kids are welcomed to join this volunteer abroad program. English proficiency is expected though you are not required to show any previous experience or high scored English degrees. Volunteer Teaching to Monks Project is aimed to improve English communication of monks, so volunteers most take care of the grammatical accuracy while teaching the provided topic. Applicant must understand Buddhist values and respect the way of life of a monk. 1 day long orientation is held by our local staffs in Kathmandu. Volunteers are introduced to basic Nepali language and greets, meanwhile they are also informed about the local customs, safety, travel guidance and all the dos and don'ts in the Nepali Society. You will be provided contact details of our local office, maps and other useful information. Our team will collect you from the airport and help you check you into your accommodation on a host family of New Baneshwor, Kathmandu. You will then have the rest of the day to relax and enjoy the hospitality of Nepal. Note: If you are making your own way to orientation, you will need to contact us after you have checked in. We will then confirm arrangements for orientation weekend with you. In the morning you will formally meet your coordinators and fellow group members. At orientation you will learn more about Nepal and your program. Later the Kathmandu tour will take you on a journey through the old city and includes magnificent temples and a Buddhist Stupas. Project hours are typically 10:00 – 16:00 but may vary depending on the monastery’s schedule. Monday to Friday you will join your coordinator at the monastery. During the mornings you will observe or participate (depends on rule of monastery) the meditation and prayers. You’ll teach English to the monks, help the kids of monastery for their study assignments, you’ll share your skills with them, share your stories and learn about theirs. You will assist the monks for the daily task inside monastery. Full details are provided during orientation. Today is free for you to relax and explore Kathmandu. If this is your final week at the program, our team will assist you with planning your onward travel. Those continuing the program will enjoy a three day weekend to unwind fully. Placements longer than 1 week follow the same format excluding arrival and orientation. You’ll be at project Monday to Friday. Saturday and Sunday are free for exploring. Volunteers will be received at airport by our local staff. Volunteer are accommodated in our hostel or guest house for the orientation. Volunteers are then accommodated at monastery. You will be provided basic living standard with clean room, pure drinking water, hygienic food, bathroom and shower. Volunteers might share their room with other co-volunteers. Volunteers will be provided the meals as distributed by monastery.